Achieving client goals through professional, courteous and cost-effective representation. 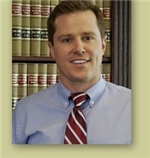 The Attorneys in the firm have provided legal services in the Denver Area for over 40 years. 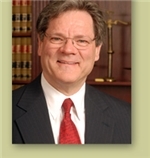 Mallon Lonnquist Morris & Watrous will represent your Business legal matters. Areas of Law: -Banks And Banking -Business Law -Commercial Law -Corporate Law -Agency And Distributorship -Commercial Real Estate -Contracts -Finance -Leases And Leasing -Mergers And Acquisitions -Divestitures -Partnership Law -Property Law -Resorts And Leisure -Mortgage Lending -Negotiation -Mediation -Litigation -Environmental Law -Franchises and Franchising. Instructor, Business Law, Regis University, 1993-1995. Denver, Chicago, Colorado and Illinois State Bar Associations. Colorado Bar Association; Northwestern Colorado Bar Association; Wisconsin Bar Association (inactive); Colorado Trail Lawyers Association. Phi Eta Sigma. Law Clerk to Colorado Supreme Court, 1972-1973. 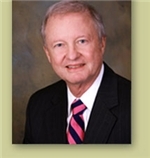 Washington (D.C.) Counsel, Staff Vice President: Johns Manville Corporation 1978-1988. Arapahoe County, Colorado and Federal Bar Associations. Moot Court National Trial Team, Tulane University School of Law, 2006-2007; Law Clerk to Hon. Gilbert Gutierrez, 19th Judicial District Court, Weld County, Colorado, 2005; Tulane Environmental Law Clinic, 2008; International business experience in Mexico, Argentina, Spain, Colombia and Puerto Rico, 2004-2009; Project management for a production company in Buenos Aires, Argentina, 2004; Consulting for a Venezuelan company regarding US market penetration and expansion, 2008-2009; Wind farm study and development project in Puerto Rico for a US based renewable energy company, 2005. Denver and Colorado Bar Associations.